Sony has added another title to their Spider-Man universe. 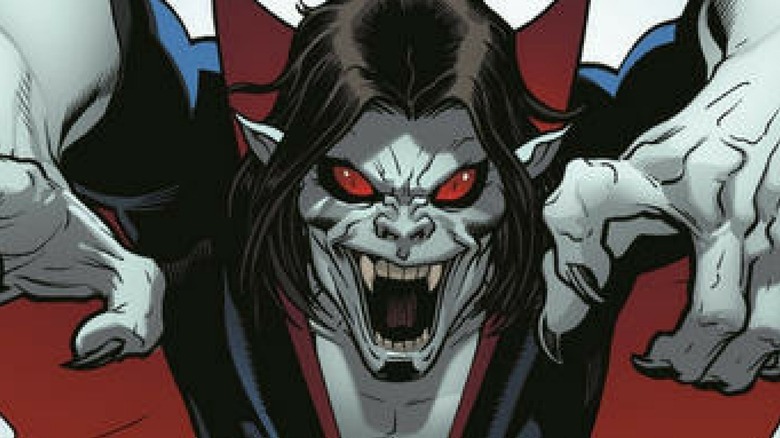 According to The Hollywood Reporter, the studio recently ordered a movie based on Morbius the Living Vampire from the writers of the recent Power Rangers reboot. Morbius the Living Vampire, also known as Dr. Michael Morbius, is a doctor who was afflicted by a rare blood disease that was only made worse by his disastrous attempts to cure himself. This eventually resulted in a form of vampirism, including a thirst for blood, fangs, and super-strength, all of which he used in his fights against Spider-Man. Morbius the Living Vampire has a long history in Spider-Man comics, dating all the way back to "Amazing Spider-Man #101," the first issue in the series' canon not written by Peter Parker's co-creator Stan Lee. The character, who was created by writer Roy Thomas and artist Gil Kane, would over time develop into more of an antihero than a villain. It's unknown what Sony's take on the character, reportedly titled Morbius, will entail. The script for the project comes from Burk Sharpless and Matt Sazama, who have also been behind The Last Witch Hunter, Gods of Egypt, and the vampire flick Dracula Untold. The project is said to be have been submitted to the studio "after a secret development process." Sony's Spider-Man universe is said to not be connected to the MCU's Tom Holland, but it will feature many of his comic book adversaries, which the studio still owns the rights to. Other films already set for the universe include Tom Holland's take on Venom and director Gina Prince-Bythewood's female-led superhero flick Silver and Black.